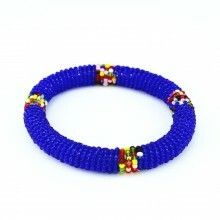 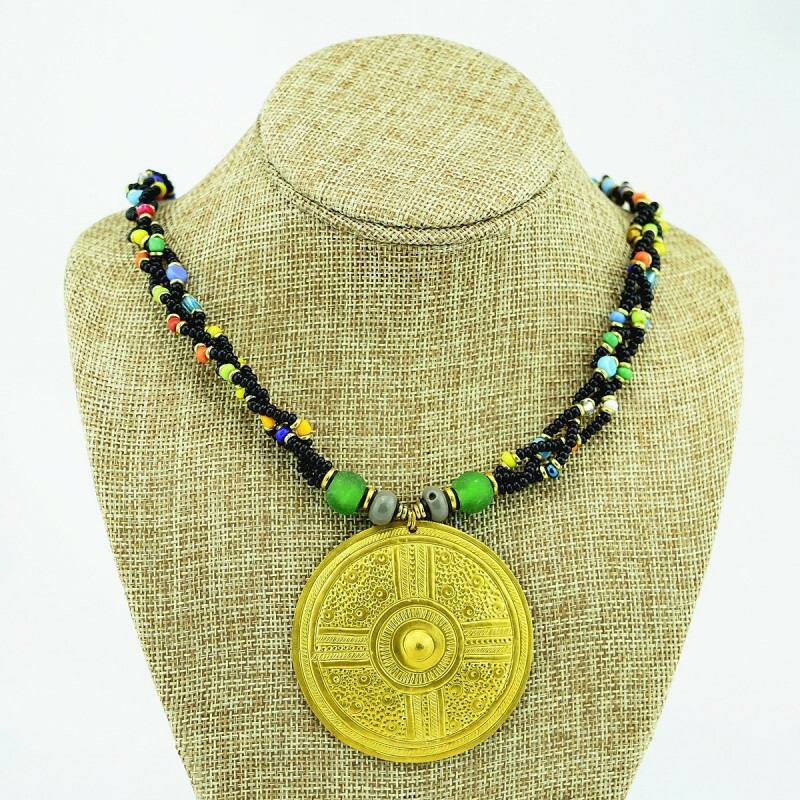 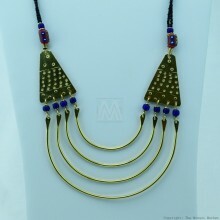 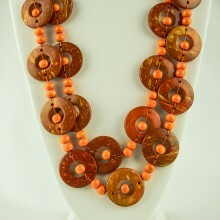 This colorful Maasai necklace was made in Kenya/East Africa. 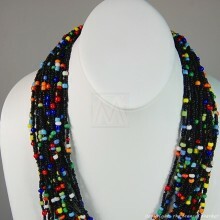 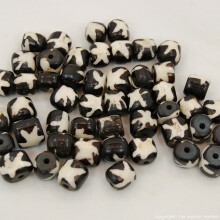 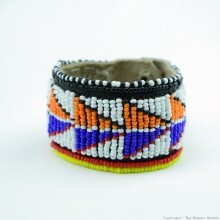 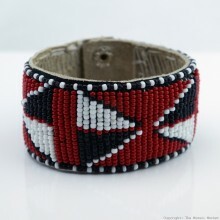 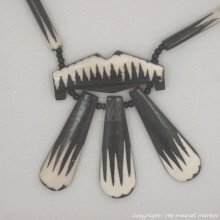 Multiple strands of braided Maasai beads make up the main part of the necklace. 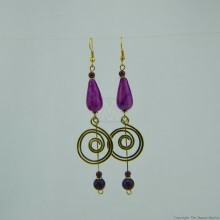 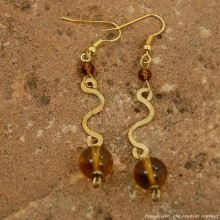 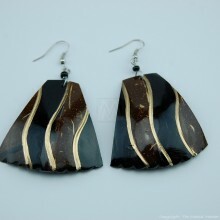 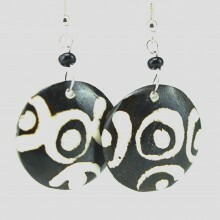 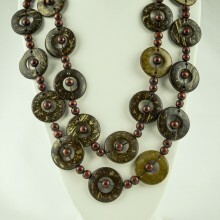 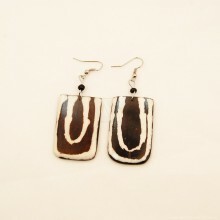 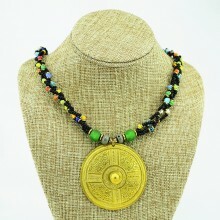 It has two Krobo glass trade beads from Ghana and a large brass pendant, which was hand-stamped with an intricate design. 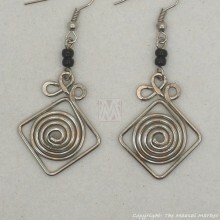 It has a hook and loop closure. 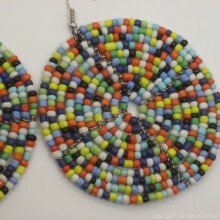 There are several color variations to choose from.